Have you spent time searching the VMware documentation, on-line forums, venues and books to decide how to make a local dedicated direct attached storage (DAS) type device (e.g. SATA or SAS) be Raw Device Mappings (RDM)? Part two of this post looks at how to make an RDM using an internal SATA HDD. Or how about how to make a Hybrid Hard disk drive (HHDD) that is faster than a regular Hard Disk Drive (HDD) on reads, however more capacity and less cost than a Solid State Device (SSD) actually appear to VMware as a SSD? Recently I had these and some other questions and spent some time looking around, thus this post highlights some great information I have found for addressing the above VMware challenges and some others. The SSD solution is via a post I found on fellow VMware vExpert Duncan Epping’s yellow-brick site which if you are into VMware or server virtualization in general, and particular a fan of high-availability in general or virtual specific, add Duncan’s site to your reading list. 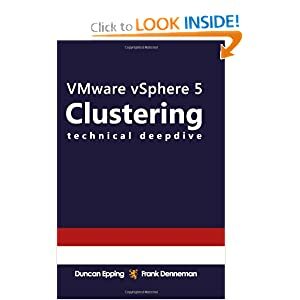 Duncan also has some great books to add to your bookshelves including VMware vSphere 5.1 Clustering Deepdive (Volume 1) and VMware vSphere 5 Clustering Technical Deepdive that you can find at Amazon.com. Duncan’s post shows how to fake into thinking that a HDD was a SSD for testing or other purposes. Since I have some Seagate Momentus XT HHDDs that combine the capacity of a traditional HDD (and cost) with the read performance closer to a SSD (without the cost or capacity penalty), I was interested in trying Duncan’s tip (here is a link to his tip). Essential Duncan’s tip shows how to use esxcli storage nmp satp and esxcli storage core commands to make a non-SSD look like a SSD. After all, if the HHDD is actually doing some of the work to boost and thus fool the OS or hypervisor that it is faster than a HDD, why not tell the OS or hypervisor in this case VMware ESX that it is a SSD. So far have not seen nor do I expect to notice anything different in terms of performance as that already occurred going from a 7,200RPM (7.2K) HDD to the HHDD. If you know how to decide what type of a HDD or SSD a device is by reading its sense code and model number information, you will recognize the circled device as a Seagate Momentus XT HHDD. This particular model is Seagate Momentus XT II 750GB with 8GB SLC nand flash SSD memory integrated inside the 2.5-inch drive device. Normally the Seagate HHDDs appear to the host operating system or whatever it is attached to as a Momentus 7200 RPM SATA type disk drive. Since there are not special device drivers, controllers, adapters or anything else, essentially the Momentus XT type HHDD are plug and play. After a bit of time they start learning and caching things to boost read performance (read more about boosting read performance including Windows boot testing here). Note that the HHDD (a Seagate Momentus XT II) is a 750GB 2.5” SATA drive that boost read performance with the current firmware. Seagate has hinted that there could be a future firmware version to enable write caching or optimization however, I have waited for a year. Disclosure: Seagate gave me an evaluation copy of my first HHDD a couple of years ago and I then went on to buy several more from Amazon.com. I have not had a chance to try any Western Digital (WD) HHDDs yet, however I do have some of their HDDs. Perhaps I will hear something from them sometime in the future. For those who are SSD fans or that actually have them, yes, I know SSD’s are faster all around and that is why I have some including in my Lenovo X1. Thus for write intensive go with a full SSD today if you can afford them as I have with my Lenovo X1 which enables me to save large files faster (less time waiting). However if you want the best of both worlds for lab or other system that is doing more reads vs. writes as well as need as much capacity as possible without breaking the budget, check out the HHDDs. Thanks for the great tip and information Duncan, in part II of this post, read how to make an RDM using an internal SATA HDD.